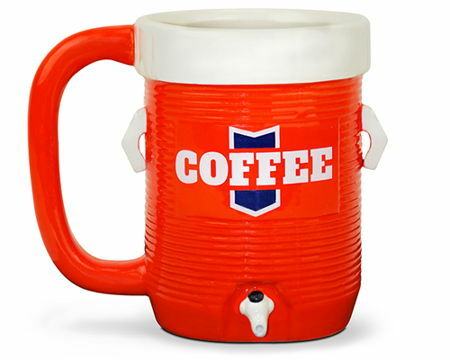 When it comes to drinking your favorite beverage at the office, you might want to consider etching your name, or at the very least, use a permanent marker and write down your initials at the bottom of the mug – so that no one else would be inconsiderate or ignorant enough to use what is not yours. However, there are times when you simply need to put your foot down and tell the rest of the world that you’re the alpha male here, which is why the $9.99 Drink of Champions Coffee Mug makes the perfect fodder for all you managerial types out there. After all, starting off with a positive mindset would most probably help shape the rest of your day in the right manner, no?